With the additional money expected to come in, revenues for the overall 2017-19 state budget are projected to be $41.7 billion, state-revenue forecasters said Tuesday. 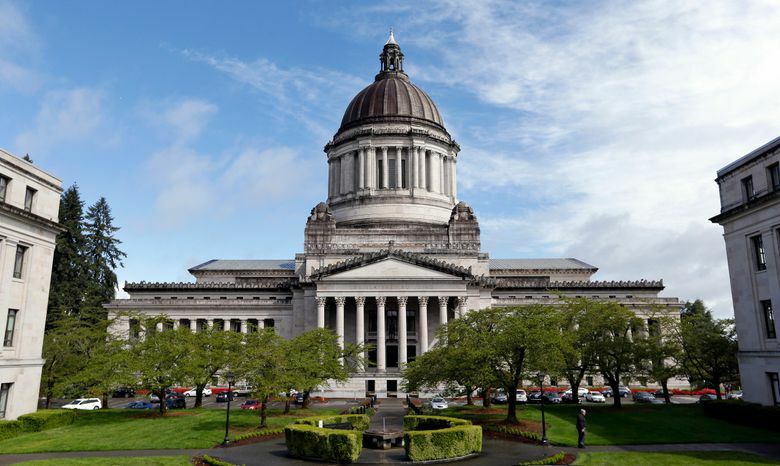 OLYMPIA — As lawmakers head toward a third overtime legislative session, they received updated revenue numbers Tuesday that provide a little bit of help as they struggle to reach agreement on a two-year state budget. Numbers released by the Office of Financial Management at a meeting of the Economic and Revenue Forecast Council meeting show the state’s revenue collections through the middle of 2019 are expected to increase by about $159 million — with $80 million more than originally forecast for the upcoming 2017-19 budget and $79 million more for the current two-year budget through the end of June. Revenues for the overall 2017-19 state budget are expected to be $41.7 billion. The second 30-day special session ends Wednesday, and Gov. Jay Inslee is expected to call lawmakers back immediately to start a third special session. If a state operating budget isn’t signed into law by midnight June 30, the state faces a partial government shutdown starting July 1. Inslee has said he would not accept a temporary short-term budget to get them through the next month, saying he doesn’t want to create a situation where the state is running month-to-month with ongoing stopgap funding plans. But Republican Sen. John Braun, a member of the council and the Senate’s main budget writer, said that while lawmakers’ sole focus is on getting the budget done before June 30, he said he has a backup plan just in case it becomes clear they are going to run out of time. “Of course we’ve thought about what could happen and we’re not going to allow the government to shut down,” he said, but he wouldn’t release specifics of what such a plan would look like. Contingency plans for a potential shutdown have been ongoing for weeks, and notices will go out this week to about 32,000 state workers warning them they will be temporarily laid off if a budget is not in place by the deadline. A partial shutdown would affect everything from community supervision of offenders on probation, to meal services to the elderly to reservations made at state parks. While Washington state has never had a partial government shutdown, the Legislature has taken its budget talks to the brink before, including in 2013 and 2015, with budgets not signed by the governor until June 30 both years. Any final budget will have to satisfy the state Supreme Court, which has held the state in contempt since 2014 for lack of progress on satisfying a 2012 state Supreme Court ruling that found that school funding was not adequate or uniform. Lawmakers have already put more than $2 billion toward the issue since the ruling, but the biggest piece remaining of the court order is figuring out how much the state must provide for teacher salaries. School districts now pay a big chunk of those salaries with local property-tax levies. The court has given the state until Sept. 1, 2018, to comply with its initial ruling on the issue, but it has ordered that a fully funded plan must be in place before the Legislature adjourns this year. The Republican-led Senate and Democratic-controlled House have disagreed on several areas, including whether or not new taxes are needed.